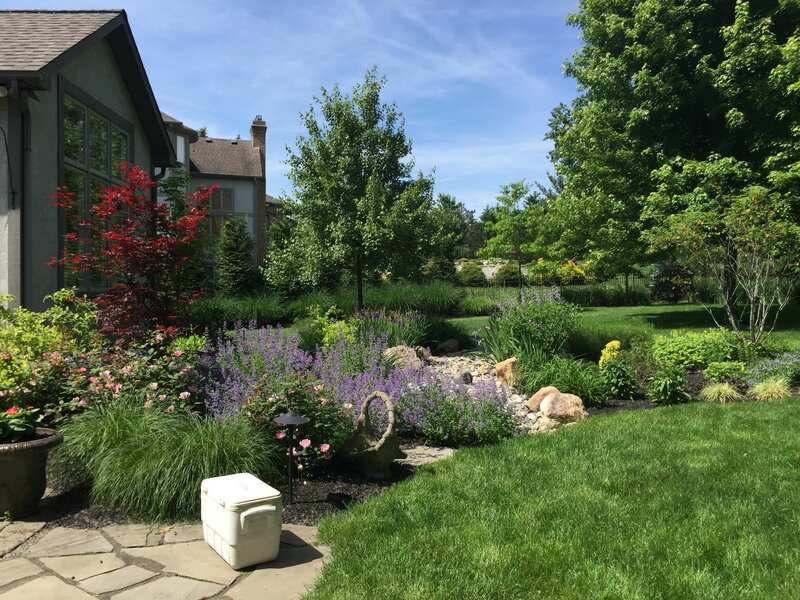 Home / Blog / Landscape Tips / What Mature Trees Can Do For Your Landscape Projects! Trees are a wonderful addition to any landscape. Whether they are large shade trees or small ornamentals, they can bring a whole new look to your home. Not only will mature trees increase the value of home but they can conserve energy, help prevent soil erosion, provide shelter and food for wildlife as well as provide privacy for you and your family. These are just a few of the many great benefits to having healthy, mature trees in your landscape. How would trees help conserve energy you say? A well-established tree planted in the right area can provide much needed shade from the hot afternoon sun. Not only will these trees provide your family with shade while you enjoy your outdoor patio but it will also cool your home. 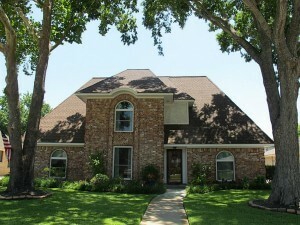 Trees planted on the Southeast and Southwest corners of your home will block the sun and in turn, cool your home. This will reduce the amount money you spend on air conditioning and cooling your home. Large evergreen trees planted on the west side of your home will act as a wind barricade and will help decrease your heating bills as well. Soil erosion may not be much of a concern if you live in a flat area in Columbus, OH. If your home resides on a hillside however, mature tree roots will help retain soil from eroding over time. The roots expand far past the canopy width helping to hold the tree in place during strong wind storms. These large roots and their smaller counterparts absorb moisture keeping soil in place and deterring runoff and erosion. If you’re a nature lover, mature trees help bring the wildlife to you. 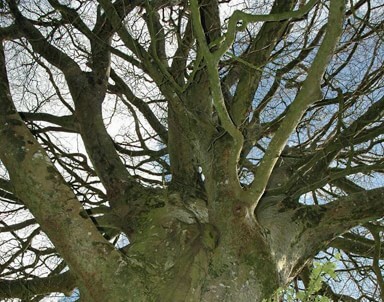 Large tree canopies provide shelter as well as a home for many animals. Mature flowering ornamental trees can entice bumblebees, ladybugs and other beneficial insects to your home. These beneficial insects help decrease harmful insect populations like mites and aphids. Among all other great benefits, having privacy is one of the top advantages of mature trees. Deciduous trees will block out large areas for 6-7 months out the year. 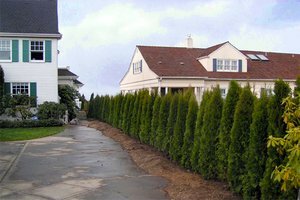 Evergreen trees will give you the privacy year round. Consider the areas where privacy is needed. How many months out of the year do you use your patio? If it is only during the spring and summer months, deciduous trees will give you all the blockage you need while you grill and relax in your outdoor space. If your bedroom window faces the living room of your neighbor, you may want to consider an evergreen tree to ensure your privacy year round. There is no exact math as to how much mature trees will increase the value of your home but many studies have shown that a property value will increase anywhere from 5-20% solely because mature trees are on the lot. New homeowners love nice landscapes. If mature trees are already growing on the property, they are willing to pay more for the many benefits already in place. That great curb appeal from a nice mature tree will not only help you with the resale of your home but it will help put money back in your pocket. Need help figuring out which tree is best for you? Check out your local nursery and browse the many species and cultivars that are available. 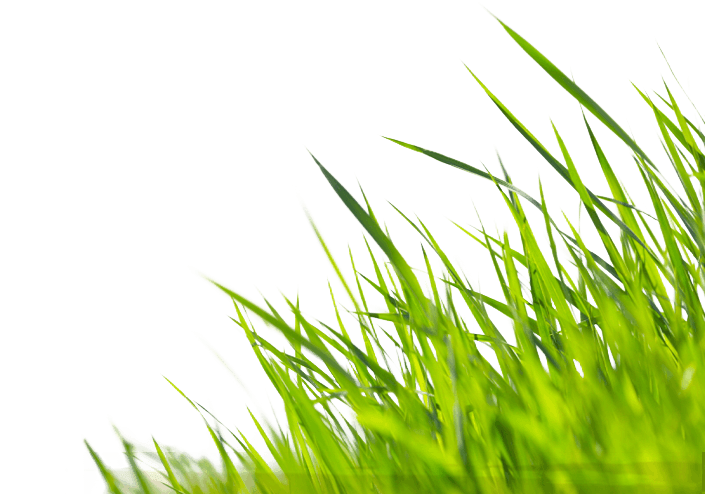 If you’re unsure of what may or may not work for you, give Buck & Sons Landscape a call and we would be happy to assist you with your needs.